Located in Markham, Ontario, First Student Charter Bus Rental is a company that specializes in providing brides and grooms with unique transportation services for their big day. 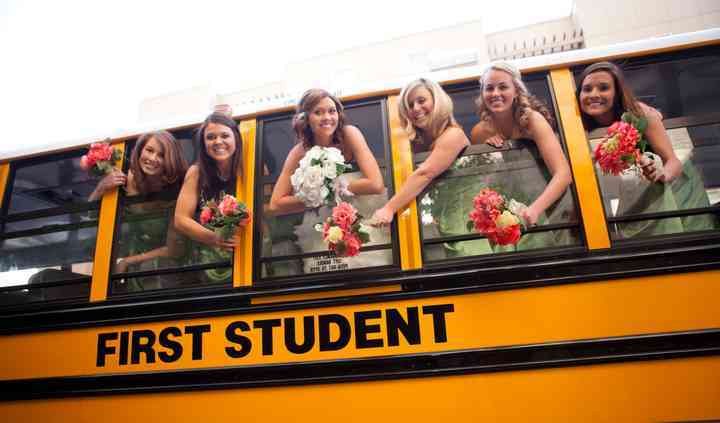 Imagine a huge yellow school bus as a backdrop for your wedding photos as well as a fun method of transportation for your guests. These charter bus professionals will ensure your arrival is smooth and risk-free. This team provides a budget-friendly alternative to traditional wedding transportation that can sometimes be pricey. The services they offer in their party buses and shuttles include multi-location trips, one-day trips and round trips. First Student Charter Bus Rental is also a fantastic solution for transportation to other events, including private parties, businesses & organizations and youth & education ventures. Contact them today to book your yellow school bus today!